The Hirshhorn’s Annual Circle provides members with behind-the-scenes experiences, and exclusive access to programming and modern and contemporary art. While federal funding provides operating costs, private donations make possible the Museum’s renowned exhibitions and innovative public programs. We would be delighted to include you among our members this coming season, and we look forward to welcoming you to the Hirshhorn! You will have special opportunities to interact with Hirshhorn curators. If you prefer to join by phone or are experiencing technical difficulties, please call 202-633-2836 or contact HMSGdevelopment@si.edu. 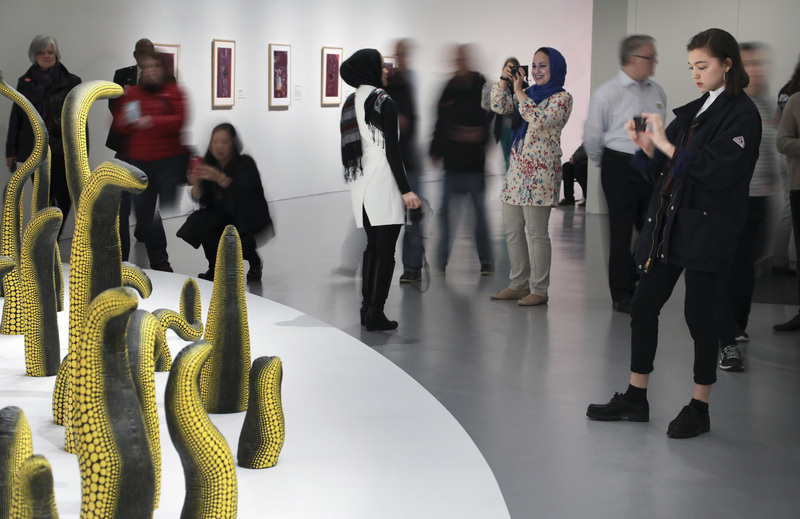 Contributions from individuals are essential for the Hirshhorn Museum to continue to bring exciting new public art and innovative exhibitions to diverse audiences. Together we can make it possible for the Hirshhorn to present art that engages the whole community. The Hirshhorn provides free access to local, national and international visitors 364 days a year and to millions more through our dynamic website! Donations are fully tax-deductible. If you prefer to make a gift by phone or are experiencing technical difficulties, please call 202-633-2836.